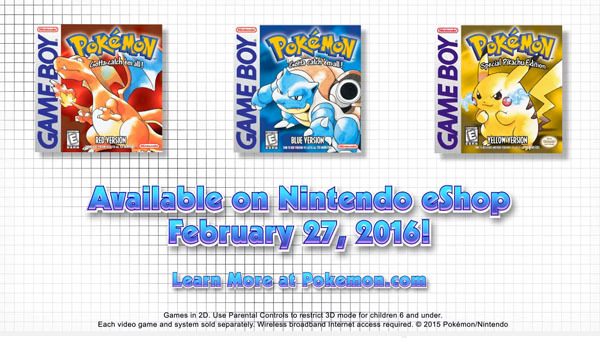 Relive the glory days of Pocket Monsters on your 3DS! 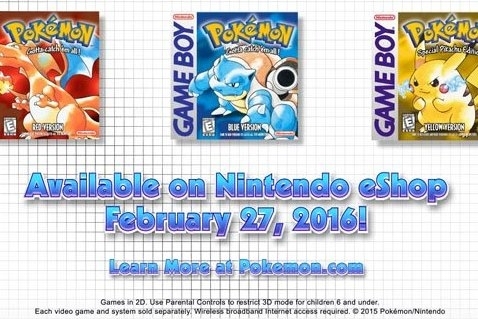 It's been a long time coming, but Pokemon Red, Blue, and Yellow are finally being made available on the Nintendo eShop as of February 27, 2016. What's more, they're being released with wireless support that will allow trades to be made between versions, just like back in the old days. The games are being released on the same day the original Red and Blue cartridges were put out, which is a pretty cool way to commemorate the games that all us kids clamored for back then. Now a new generation can download them from the eShop and enjoy them just the same. This Nintendo Direct was nostalgia-rich, even if it was just for this one moment.